The ocean is full of wonders... and horrors. 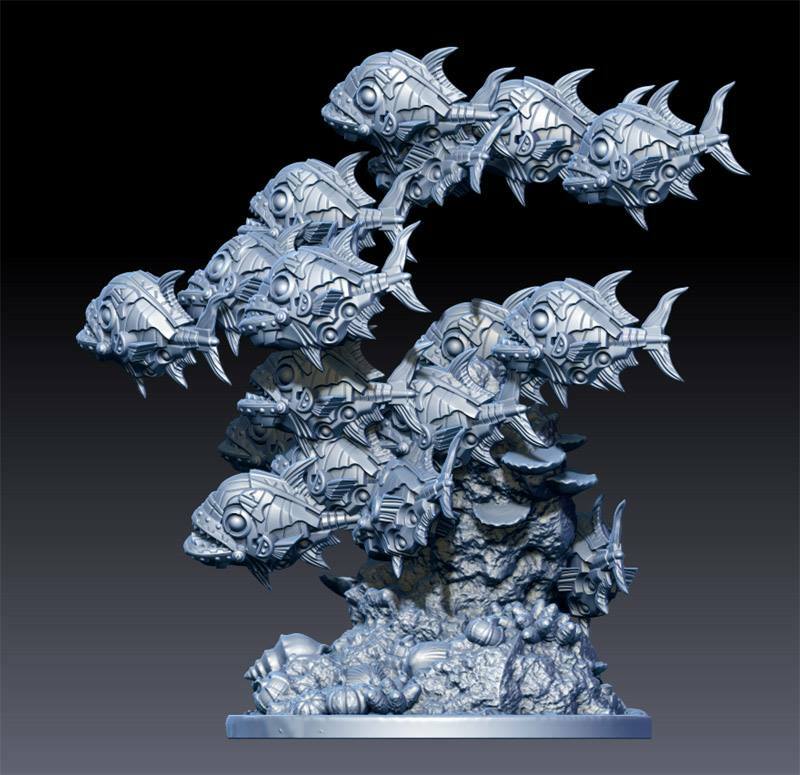 And, I mean, I can't say for certain that there aren't swarms of mechanized piranha fish, ready to rip the flesh from your bones in seconds, I can't rule it out, either. 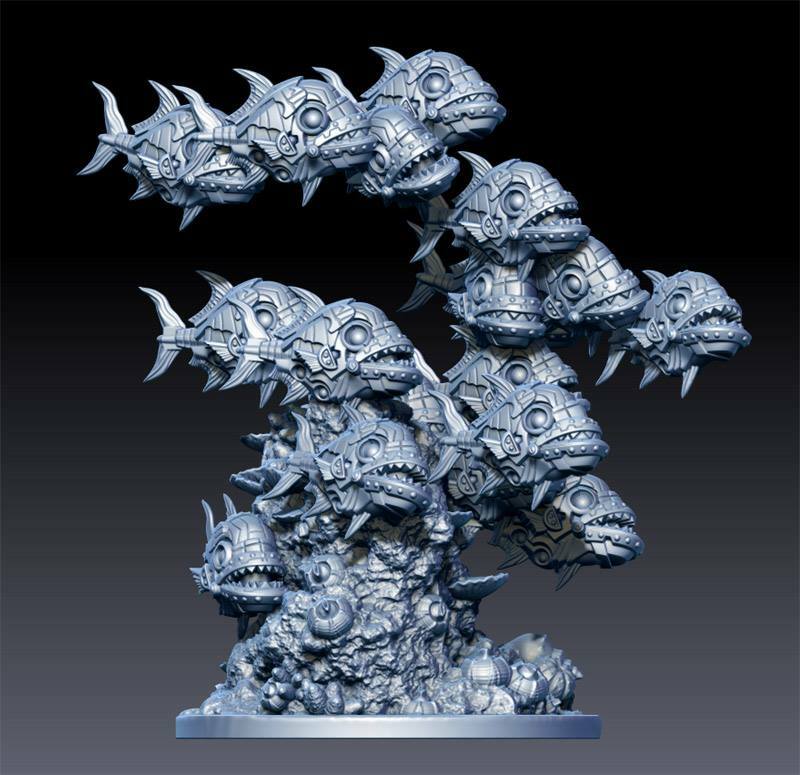 So, if you ask me, I'll keep my deep-sea diving to the tabletop with DeepWars, because there, at least I know I can take on the models of mechanized piranha fish, which is what we get a preview of here from Antimatter Games. Here are a couple of photos of the WIP Carangaform mech swarm for the Ancients of Atalan. It's about ready to send to the printer.